Even today, centuries after the basic principles of this subject were discovered, many students struggle to make sense of organic chemistry. These 36 lectures endeavor to solve this problem, taking you on a tour of the development and application of the discipline of organic chemistry. Approximately the first half of this presentation is dedicated to building the foundations of understanding modern organic chemistry. You'll investigate the structure of the atom, the energetic rationale for chemical bonding between atoms to create compounds, how specific collections of atoms bonded in specific ways create motifs called functional groups, and ultimately the ways in which the bonds in these functional groups form and break in chemical reactions that can be used to convert one compound into another. Next, you'll apply that understanding of organic fundamentals to more complex, but often misunderstood, molecular systems, such as starches, proteins, and DNA. And finally, you'll turn your attention to how organic chemists purify and characterize their new creations in the laboratory, investigating techniques as ancient as distillation and as modern as nuclear magnetic studies. 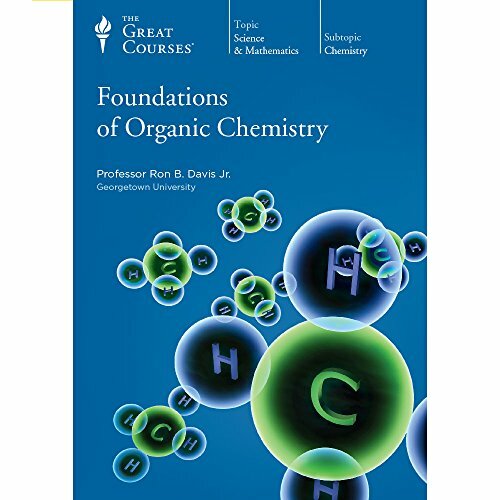 After completing these lectures, the successful student will have all of the tools needed to have a meaningful dialogue with a practicing organic chemist about the theory behind his or her work, the interpretation of the results that he or she obtains in the lab, and - most of all - the impact that modern experimentation in organic chemistry might have on the future of humanity.